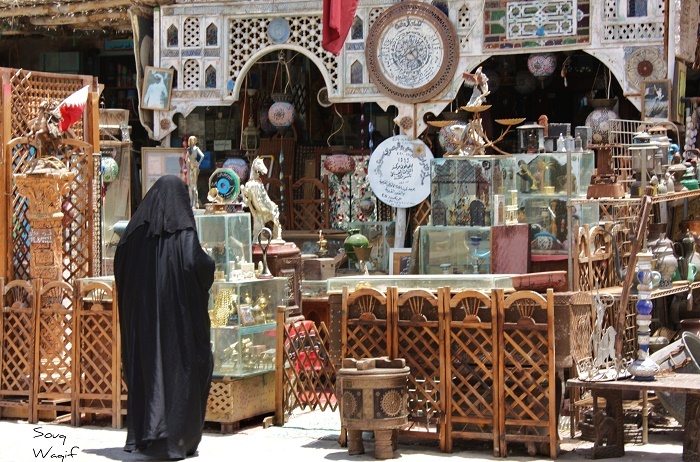 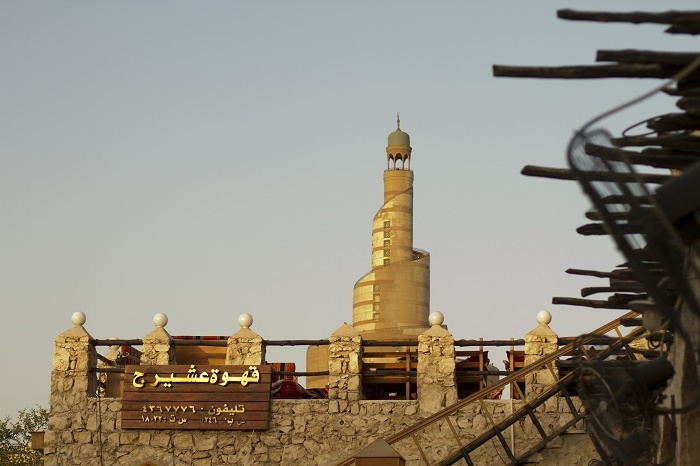 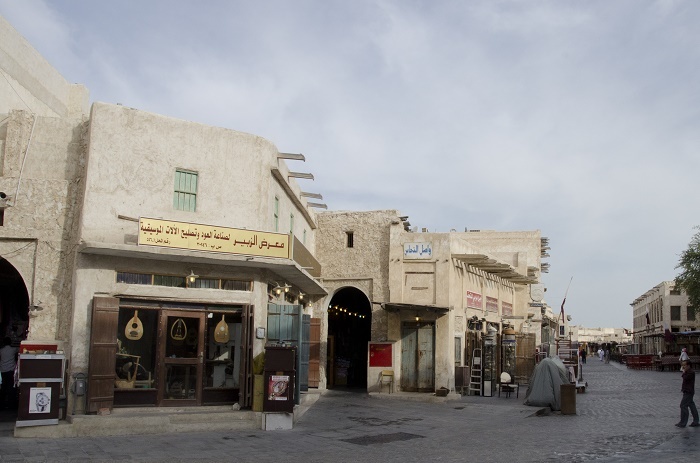 Souq Waqif is an open-air marketplace, where traditional garments, spices, handicrafts, and souvenirs are being sold, located in Doha, the capital city of the State of Qatar. 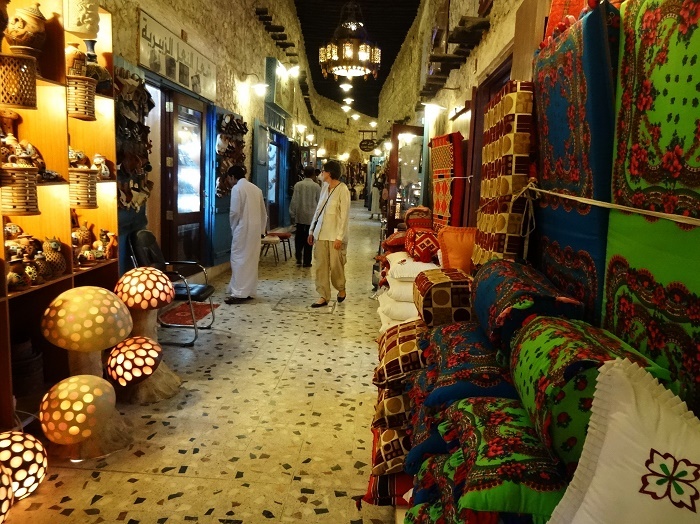 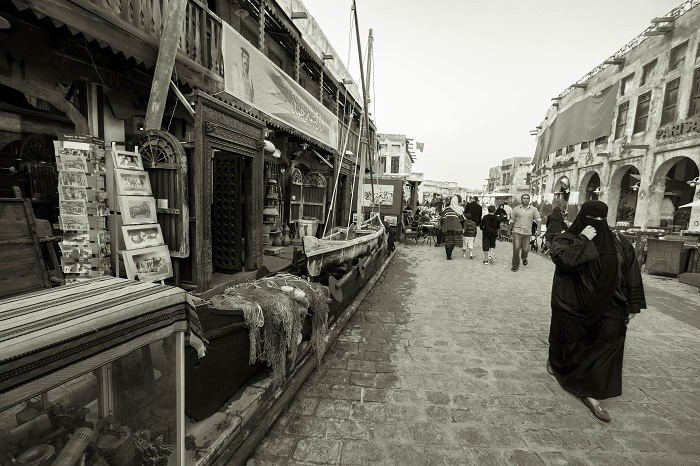 The souq also houses dozens of restaurants and Shisha lounges. 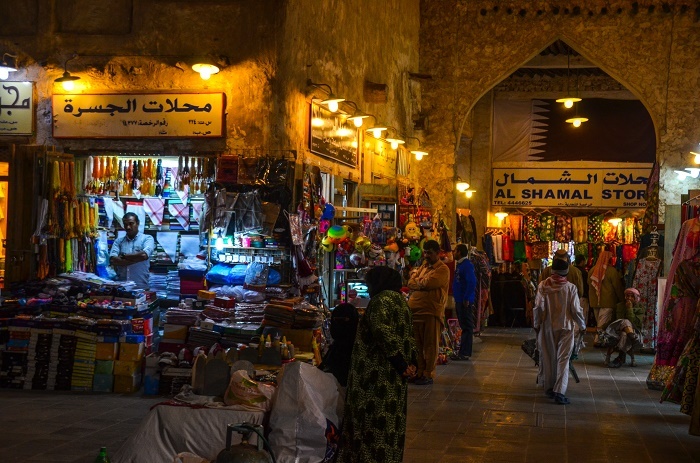 Most probably the souq was founded at least 100 years ago, on a dry riverbed known as Wadi Musheireb, which was the gathering place for Bedouins and locals who were trading livestock and goods. 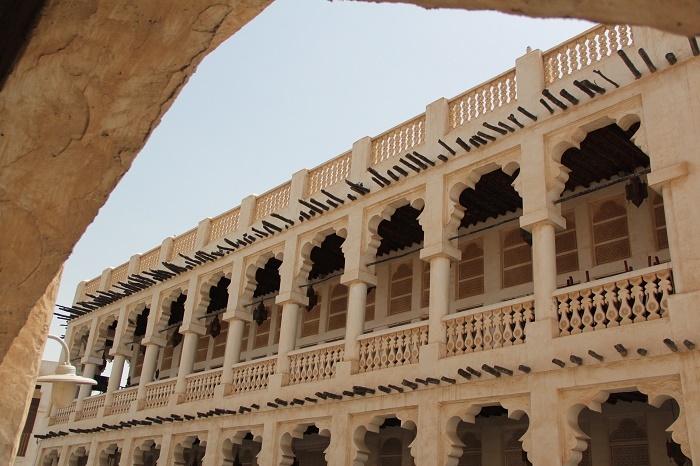 To conserve its traditional architectural style, in 2006 the government launched a restoration program with the purpose of preserving its architectural and historical identity. 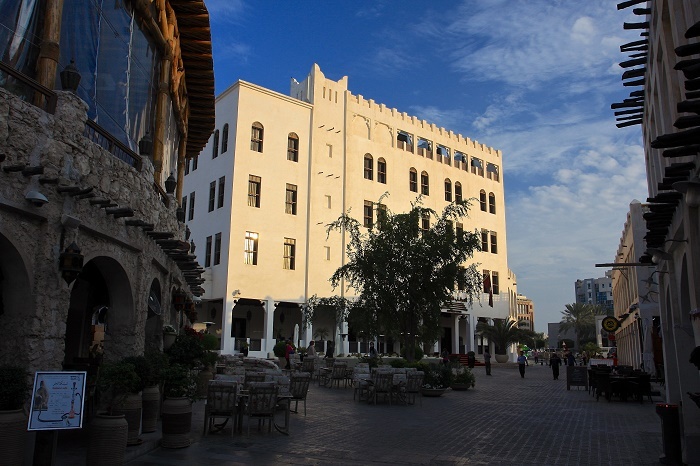 Buildings constructed after the 1950s were demolished whereas older structures were refurbished, finishing the whole project in 2008. 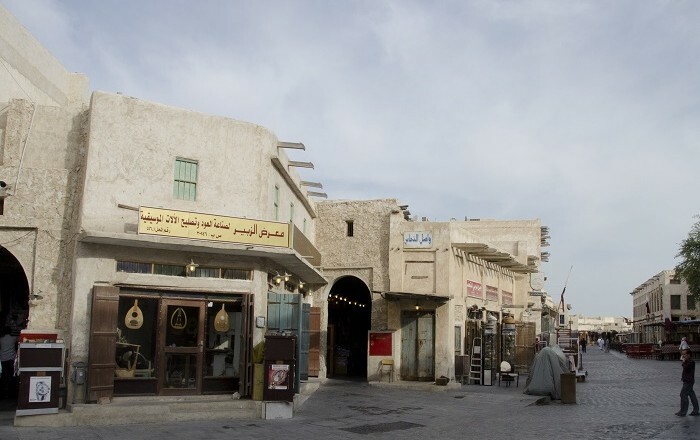 As one of the most important landmarks of the city, and a major tourist spot, not only known for its spices and other traditional goods, it also has several art galleries, events and local concerts, and a 980 seat theater named Al Rayyan Theater is located within the souq.